Bee Gregorie enjoyed a 22-year career as a nurse at Great Ormond Street and St Thomas’ Hospitals before training as a Sports Massage Therapist in 2003. Bee is a Level 3, British Cycling Road and Time Trial qualified coach, having been accredited since 2013. She has had her BC Level 2 accreditation for Road and Time Trial coaching since 2008 when she first began coaching. As an experienced athlete, Bee completed more than 20 triathlons from 2001, including two Ironman events (2.5-mile swim, 112-mile bike, 26-mile run), before retiring from triathlon in 2008. According to Strava, Bee cycles around 6,000 miles a year, while competing in events, these days mostly sportives, training camps, and a few Time Trials. Bee does much of her riding with her club, the Kent Velo Girls, which she founded in 2008 and where she is also lead club coach. Aside from her two Ironman triathlons, Bee has completed the Marmotte Granfondo twice (2012 and 2015) , Edinburgh to London twice (2014/2015) as a chaperone with Help for Heroes, multiple multi day tours in the French Alps, a dozen rides to Paris (once in 24hours) many as a chaperone/ guide/leader, and training camps in Mallorca, France and here in the UK. 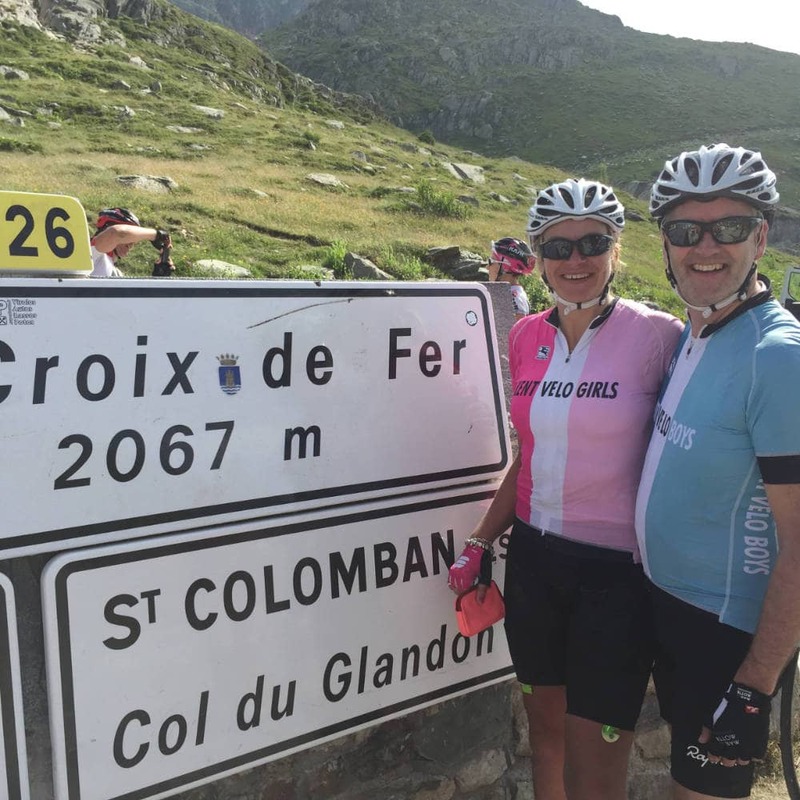 Bee says that one of her favourite achievements is the completion of the Cingles challenge, in September 2015, a triple ascent of Mont Ventoux in one day with over 4000m of climbing in the day – the Giant of Provence was a worthy beast to tame! 2016 saw Bee take the challenge of 100k walk along the Thames path. In 2017 challenges included Training camps in the UK, Mallorca and South of France, The London Revolution, the Tour of Cambridgeshire Gran Fondo, Chase The Sun,( a ride across the UK in one day between dawn and dusk) Maratona dles Dolomites, and chaperoning on Ride The Night, a Paris trip, and corporate cycling days. Currently studying for a Diploma in Clinical Nutrition with the Body Type Nutrition Academy. Trained with the London School of Sports Massage and qualified in 2005.